"Containing mentions of those peculiar beasts known as pegallamacorns"
The chronicles of the mute siren Vessalen Farcry, the eccentric bard Liniere Palisban, and their travels together on the continent of Alyvion, a fantastic land of suppressed magic riddled with witch hunters. Their challenges and adventures as they face both the present and their respective pasts. Also, containing the first mention of those peculiar beasts referred to as pegallamacorns. 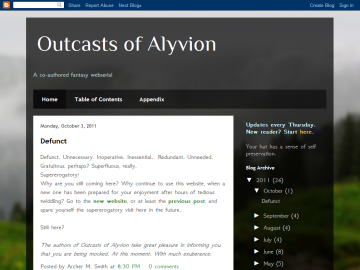 Outcasts of Alyvion - Farcry has not been reviewed yet. Outcasts of Alyvion - Farcry has not been recommended yet.